I had been thrown round the sky by an aerobatic pilot before. But that was in an aggressively capable modern aircraft, built for that sort of thing. I had been strapped down firmly with a seven-point harness and had a canopy slammed and locked into place above me. And I was twenty, then, and had no fear. 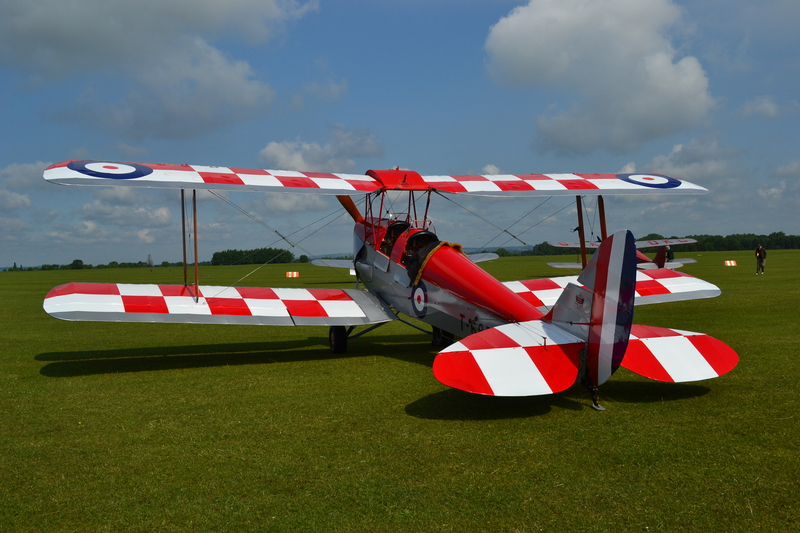 This time, I was in a Tiger Moth: a flimsy-looking, open-cockpit biplane built of fabric and wood in the Second World War to a design from the early thirties; and I just had a pair of straps, disturbingly like those on my backpack, to stop me from falling to my death. “If you fall out they can blame me,” said the pilot as he strapped me in. I wasn’t reassured. The septuagenarian engine coughed hard, spat out a gobful of smoke then settled into a throbbing rhythm. We chugged across the field, then turned and accelerated along the runway. The Tiger Moth limbered into the air, like an elderly man mounting a stile, and climbed at its own leisurely pace as we pottered out towards the bay. There was a wonderful view from 3,000ft over the marina at the boats at anchor and out towards the Barrier Reef. In straight and level flight, it is easy to imagine yourself back in the days of boaters and blazers and croquet on the country house lawn. But we were not there for civilised flying. “Okay here we go,” said the pilot over the radio, chopped the throttle and pulled the stick right back. The Tiger Moth reared up to the vertical, stood on its tail and stalled. It fell sideways with a bang, as if a wing had come off, and spun. All my senses screamed that I was going to die. I gripped the edge of the cockpit, as if that would somehow save me. The sky, the ocean, the marina, the reef whirled round me in the confusion of a tumble down stairs as the pilot dived to build up airspeed and unstall the wings and then pulled straight up into a perfect loop. Over the top, upside down; my headphone lead flapping about in the air; the wind howling through the rigging, the sun flashing off the glass in the windshield. I looked up at the ocean and down at the sky; and we tipped right over, back round to where we had started. Then, straightaway, sideways into a barrel roll – boats sailing upside down in the sky – under and over, and the world righted once again. Terror to elation and back again. Rolling, looping, spinning. East to west inverted, west to east right side up. The engine snarling, then abruptly cut. Just the whistling of the wind in the wires. Sky and ocean switching places again and again, until I was no longer sure which was right. But no one can hear you scream from up there. I do not honestly think I would be able to do that! Your description made me shiver and left with mixed feelings. My question however is – would you do it again? Brilliant piece though! You have a unique style and keep reader engaged very much to the end! Thanks again. I’m glad you liked the piece. Would I do it again? Probably, although I would still be terrified half the time.